The movement to end the use of plastic straws has been heavy on the forefront of national attention lately. From cities like Seattle banning plastic straws completely, to large-scale chains like Starbucks, American Airlines and Marriott Hotels getting on board, the topic has been thrust into headlines for the past few months. The effort to phase out the use of plastic straws circles back to a single underlying issue — the devastating impact plastic has as it drifts out to our oceans. Plastic simply doesn’t recycle as easily as other products, like paper, which is why paper straws are beginning to replace the classic plastic straw in many restaurants and establishments. Motor Supply is no newcomer to the paper over plastic movement. Many moons ago Head Barman, Josh Streetman, recognized the issue and began looking for the most effective solution to replace the bar’s plastic straws. Before the switch, Josh was primarily using plastic straws to taste test cocktails before they hit the tables — a protocol he takes to assure each and every cocktail sent out is balanced before reaching guests. One night he realized the amount of waste being produced from straws that were getting very little use in taste testing. From this moment, Josh made a conscious decision to substitute a steel tasting straw for the plastic straws. “The taste test is an imperative step in making craft cocktails, but I knew the plastic straws I went through each night could have detrimental environmental impacts. 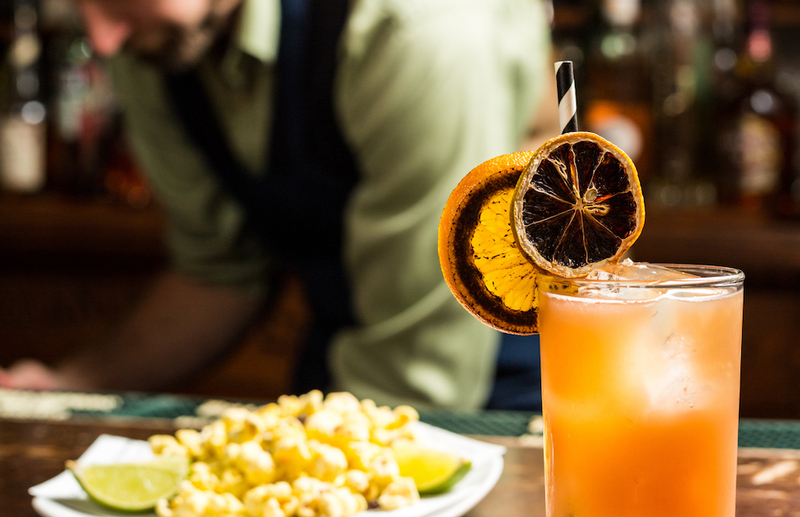 Once I started using steel straws for cocktail tasting, I knew I could do more to reduce the use of plastic straws at Motor Supply,” said Josh. The change behind the bar led Josh to begin searching for ways to reduce the waste even further. That is when paper straws came into play. “Sustainability is an important value for our team, and incorporating paper straws is another way we can decrease our environmental footprint,” says Eddie Wales, Motor Supply owner. Sure, plastic is the more cost-effective option, but in the scheme of things, Motor Supply stays true to core values, which includes doing anything they can to increase sustainability. The Motor team took this sustainability effort even further by sourcing the straws from a Midwest distribution center rather than an international supplier. While international supplier was a lower cost, it felt counterproductive to purchase straws that consume such energy in order to arrive at the restaurant. Paper straws are just one of the sustainable and environmentally friendly choices the Motor Supply team aim their efforts at. The team recycles paper menus as coasters, use biodegradable to-go containers and repurpose every bit of the produce and ingredients that come to the kitchen or land behind the bar. With many environmentally friendly choices at Motor Supply paper straws are just one way to make a small impact, but each small impact makes a big difference. A drink simply tastes better when it’s served in a repurposed antique glass, with an ethically-sourced paper straw, on a recycled menu coaster and accompanied by a dish using fresh, local ingredients. Not only do some say drinks taste better through paper straws, but it feels better too, to know changes are being made to better the environment without compromising taste or originality.